"Monument at Broadway and Seawall"
SHERMAN, SIDNEY (1805-1873). Sidney Sherman, soldier and entrepreneur, one of ten children of Micah and Susanna (Frost) Sherman, was born at Marlboro, Massachusetts, on July 23, 1805. Sherman was orphaned at twelve and at sixteen was clerking in a Boston mercantile house. The next year he was in business for himself but failed for lack of capital. He spent five years in New York City; in 1831 he went to Cincinnati. In Newport, Kentucky, across the Ohio from Cincinnati, Sherman formed a company, the first to make cotton bagging by machinery. He was also the first maker of sheet lead west of the Alleghenies. Sherman became a captain of a volunteer company of state militia in Kentucky and in 1835 sold his cotton bagging plant and used the money to equip a company of fifty-two volunteers for the Texas Revolution. The volunteers left for Texas by steamer on the last day of 1835. That they were already regarded as soldiers in the Texas army is shown by a land certificate for 1,280 acres awarded Sherman for services from December 18, 1835, to December 16, 1836. 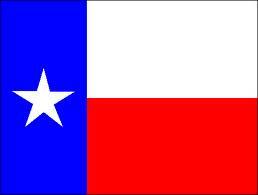 They carried with them the only flag that the Texans had for the battle of San Jacinto. Sherman's volunteers went down the Ohio and the Mississippi and up Red River to Natchitoches, where Sherman was detained by illness. They reached Texas the day before the election for delegates to the Convention of 1836. Sherman's company demanded and received the right to vote. They proceeded to San Felipe, where they were received by Governor Henry Smith and Sherman received his command. When Sam Houston organized his first regiment at Gonzales in March 1836, Edward Burleson was made colonel and Sherman lieutenant colonel. The army was reorganized at Groce's Ferry and Sherman, recently promoted to colonel, was given command of the Second Regiment of the Texas Volunteers. On the retreat across Texas, Sherman was eager to fight. At the Colorado he asked permission to re-cross the river and engage JoaquÃ­n Ramirez y Sesma, but his request was refused. On the afternoon of April 20, 1836, the opposing armies faced each other at San Jacinto. Sherman called for volunteers to seize the Mexican cannon, but the weapon was withdrawn. On the following day Sherman commanded the left wing of the Texas army, opened the attack, and has been credited with the battle cry, "Remember the Alamo." After the battle he acted as president of the board of officers that distributed captured property among the soldiers. President David G. Burnet refused to accept Sherman's resignation when the fighting was over and instead commissioned him as colonel in the regular army and sent him to the United States to raise more troops. After weeks of illness Sherman made his way back to Kentucky and sent troops and clothing back to Texas. His wife, the former Catherine Isabel Cox, returned to Texas with him. They established their home, Mount Vernon, a one-room log house, on a bluff below the San Jacinto battleground. In 1839 the family moved to Cresent Place on San Jacinto Bay. Sherman was Harris County's representative in the Seventh Congress of the republic, serving as chairman of the committee on military affairs. During his term in office he introduced a bill to establish the position of Major General of the Militia and increase protection along the western and southwestern frontiers. In 1843 he was elected major general of militia, a position he held until annexation. It was in his capacity as head of the militia that he presided over the trial of Capt. Edwin W. Moore. After annexation, Sherman moved to Harrisburg and with the financial support of investors bought the town and the local railroad company. The town was laid out anew, and he organized the Buffalo Bayou, Brazos and Colorado Railway Company, which constructed the first rail line in the state. In 1852 Sherman was among the passengers when the steamer Farmer burst its boilers; he was saved by clinging to a piece of wreckage. In 1853 the Harrisburg sawmill, owned by Sherman and DeWitt Clinton Harris, was burned. After his residence also burned, Sherman sent his family to Kentucky, and he moved into the railroad office at Harrisburg. Then that office burned. Sherman was keeping the Island City Hotel in Galveston when the Civil War came. 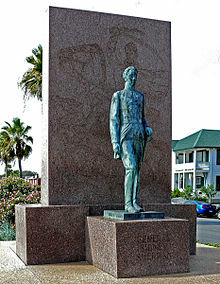 Appointed commandant of Galveston by the Secession Convention, he performed his duties ably until he became ill and retired to his home on San Jacinto Bay. A son, Lt. Sidney Sherman, was killed in the battle of Galveston. David Burnet Sherman, the remaining son, died after the family moved to Richmond, and Mrs. Sherman died in 1865. Sherman spent his last years in Galveston. He died there at the home of his daughter, Mrs. J. M. O. Menard, on August 1, 1873. Sherman County and the city of Sherman in Grayson County are named in his honor. Walter Nathaniel Bate, General Sidney Sherman, Texas Soldier, Statesman, and Builder (Waco: Texian Press, 1974). Sam Houston Dixon and Louis Wiltz Kemp, The Heroes of San Jacinto (Houston: Anson Jones, 1932). William Fairfax Gray, From Virginia to Texas, 1835 (Houston: Fletcher Young, 1909, 1965). Texas House of Representatives, Biographical Directory of the Texan Conventions and Congresses, 1832-1845 (Austin: Book Exchange, 1941). Frank X. Tolbert, The Day of San Jacinto (New York: McGraw-Hill, 1959; 2d ed., Austin: Pemberton Press, 1969).